It was the police who first initiated a psychological examination of the visionaries. Fr. Laurentin has said this should not be interpreted as harassment by a Marxist regime. This would be a normal reaction by anyone who was faced with the kind of confusion and excitement the police were faced with when thousands of people began flooding the village of Medjugorje to seek out these visionaries. It would, of course, be important to establish that the children were not psychologically impaired. But it should also be noted that the communist regime did suspect an uprising of which they did harass and oppress the people. What then began on June 27, 1981 with the first documented testing of the Medjugorje visionaries, would become an ongoing task of many medical doctors specializing in psychology, psychiatry, neurology of various kinds and hypotherapy, along with specialists studying the Medjugorje visionaries bodily conditions involving their heart, sight, hearing, voice, brain and sensitivity to pain. The doctors listed in this writing are primarily those in the medical and scientific fields. Keep in mind that all the visionaries have been scrutinized and studied just as thoroughly from experts in the area of theology and from members from the hierarchy of the Church. This often happened while the visionaries were unaware of it, as many came in cognito to Medjugorje. The visionaries were also interrogated and threatened many times by the communist police in the early days of the apparitions. Never in the history of the Church has any group of individuals been so studied and scrutinized by so many different kinds of experts and people from around the world, with the variety and complexity of the technological equipment that science offers today, for so long a period of time, as these six Medjugorje visionaries: Mirjana, Ivanka, Vicka, Marija, Ivan and Jakov. That fact in itself should give pause to even the most convinced atheist. The police from Citluk accompanied the children to Dr. Ante Bijevic ‘s office, a local doctor. He found the visionaries to be well balanced and did not think it necessary to detain them. Having been with the doctor for quite some time, and while he was examining Ivan, an impatient Vicka, ready to return to Medjugorje, interrupted the session. Perhaps, in any other situation, this would have been taken as impertinence, but from Dr. Bijevic’s point of view in looking at the psychological health of his subject, it showed good sense and he allowed her to go. 1. The group of young people is markedly distinct in character; there are boys and girls, of different ages and of extremely different temperaments. The phenomenon is not explicable as the action of a leader, nor as the activity of an external manipulator but only as the apparition which forms and directs the group. Ecstasy has not diminished but rather enhanced the identity and freedom of the visionaries and this includes their vocation. They understand the desire of the Virgin but she has left them free and they in turn feel absolutely free to make their own decisions. The Tests or Procedures: Dr. Ludvik Stopar was the first doctor to examine the visionaries while in a state of ecstasy. He also used hypnosis to determine whether the children were being manipulated or not. He chose Medjugorje visionary, Marija, for the subject of this test because she appeared to be “the most intelligent and mature of [the six] and…therefore the most suitable for the test.” (7) However, he hypnotized her without her knowledge or consent. He believed it possible to isolate the 90% conscious level of the mind in order to detect possible manipulation. Marija was asked to describe the visions. This question was then repeated to her under hypnosis and her replies came from her subconscious. (9) There was no difference in her conscious account and the one given under hypnosis, which ruled out manipulation. All other testing by Dr. Stopar was confined to observations, tests without equipment, and other non-quantifiable methods. Though his findings were important, he recognized that his own abilities & equipment were limited and he recommended much further scientific investigation. Conclusions: The test battery indicated that the visionaries were normal in every respect. There were no psycho-pathological indications. It was shown that under hypnosis, there was no sign of the visionary being under a manipulated influence. There were definite objective characteristics of the visionaries during ecstasy that could be observed and studied, and these characteristics indicated a “transcendent” origin. Lastly, Dr. Stopar collaborated with Fr. Laurentin’s position that the visionaries are not taken over by a different personality, or medium, but are always aware of their identity. In 1989, Dr. Bartulica returned to Medjugorje to carry out new psychiatric tests on the visionaries. In Medjugorje, he spoke to Marija, Ivan, Vicka, Mirjana and Ivanka. Only Jakov Colo was absent. “I examined each of them for half an hour and a pilgrim from California recorded it with a video camera so there is evidence of the event.” (14) Dr. Bartulica presented his conclusions on the Medjugorje phenomenon in the book Are the Visionaries Telling the Truth?, published in 1991 in Chicago. He said that he has met many people in his line of business that were faking their experiences. But in the case of the visionaries of Medjugorje he is completely convinced that they have had the experience they testify to. He has visited Medjugorje more than 20 times and has often attended the apparitions. Test or Procedure: Dr. Mario Botta came to Medjugorje with a team of Italian doctors to specifically test the heart pattern of the visionaries while in ecstasy. On December 8-9, 1983, Dr. Botta observed the visionaries and took Ivan’s pulse. In taking Ivan’s pulse, Dr. Mario pushed Ivan’s watch strap up his arm. Ivan seemed oblivious to this. The pulse was normal. However, Dr. Botta was troubled enough by the response from the apparition that he stopped his testing and left Medjugorje after completing only one test. He did feel that this test did confirm findings of his other clinical tests. Date of Testing: In 1984 many different medical practitioners and professors from Italy came to Medjugorje frequently. They sometimes visited Archbishop Franic and shared their opinions of the phenomena with him. Some are on written record as to their professional judgements. They worked independently, but their findings confirmed and supported each other’s. Following is a partial list of these doctors. Test or Procedure: Dr. Maria Frederica Magatti performed a clinical analysis of an apparition that she observed on February 3-4, 1984 in Medjugorje. She studied the visionaries response to various stimulation, such as calling, touching and pinching. A cine-projector of approximately 1000 watts was shined into their eyes to see if the size of the pupils changed. There are two divisions of the autonomic nervous system. The sympathetic system responds to stress, when it speeds the heart rate, increases blood pressure, and generally prepares the body for action. The parasympathetic system is more important when the body is at rest, since it slows the heart rate, decreases blood pressure, and stimulates the digestive system. With the visionaries, the heartbeat remained the same and there was no indication of perspiration or tears. The only motor activity observed was voluntary, in particular the movement of the lips during conversation with the apparition. The testing demonstrated that the visionaries were not cataleptic, which is a symptom of certain nervous disorders or condition and includes rigid body and limbs, limbs staying in the same position when moved, loss of muscle control and slowing down of bodily functions. During the apparition there was no noticeable change in the vegetative nervous system. This is the part of the nervous system that controls those functions not controlled voluntarily, including the heart rate, activity of the intestines, and the production of sweat. Dr. Lucia Capello was present at the apparitions on February 5-6 and March 23, 1984, in Medjugorje in which she observed Ivan, Jakov and Marija three times, and Vicka and Ivanka once. 1. The visionaries drop to their knees at the same time, their voices become inaudible while their lips continue to articulate. 2. The voices of the visionaries become audible at the same time, on the third word of the Our Father, the apparition having recited the first two. There is no evidence that would lead to the conclusion that the visionaries orchestrated the timing nor can there be an explanation that it happened through natural causes. • There was no indication that the behavior of the visionaries during ecstasy was the result of some kind of mental conditioning. Each visionary acted normally as they entered the room; they were friendly, cheerful, greeting everyone present. This continued after the apparition had ended. • Dr. Capello observed Vicka more closely than the other visionaries while in ecstasy. She reported that Vicka had no reaction to the examinations which were carried out. Dr. Enzo Gabrici examined Ivan, Jakov, Marija and Vicka, April 4-8, 1984. • All the visionaries come from ordinary backgrounds and live very normal lives in their families, school and church. • There were no signs that the visionaries were experiencing hallucinations, an epileptic syndrome, or any disorder which could change consciousness, or even a temporary difference in their consciousness when they entered the ecstatic state. • No evidence existed that the visionaries were giving each other signs to fall on their knees at the same time, or to explain the other synchronizations of their actions. • It was ruled out that the visionaries are under the influence of hypnosis because in this situation, subjects are not able to remember anything while in the trance. The Medjugorje visionaries, however, remember exactly what takes place during the ecstasy, discounting the hypnosis theory. • There is no change in the personality and identity of the visionaries in ecstasy, so the possibility of being taken over by a medium or a different personality is also discounted. There was nothing in her history that would reveal any past trauma. After the apparitions, Vicka seemed invigorated by the experience, rather than tired, which for one who is experiencing a hysterical trance, they normally enter into a period of fatigue after it is over. Dr. Gabrici found no trace of neurosis or psychosis in Vicka. Test or Procedure: Fr. Nicholas Bulat, on June 2, 1984, administered a test based on how the church had “tested the spirits” back in the Middle Ages. Though Fr. Bulat was not a doctor or scientist and his test offers no scientific validity, it does demonstrate the visionaries’ lack of sensitivity to pain during the ecstasy. Fr. Lauretin goes on to explain how the test was executed. “At Medjugorje, in the absence of the medical commission which had never been convened in a formal meeting, it was Fr. Bulat who conceived and executed, on his own initiative, the medieval test of prodding. On 2 June, wearing dark glasses, the priest entered the room of the apparitions a little before 6:00 p.m. Very few members of the commission had ever entered this room! He followed Vicka as she came in and took a seat right behind her. He carried a large needle in his left hand; this allowed him to make a quick sign of the cross with the visionaries as they began their prayers. He then switched the needle to his right hand, aimed it at Vicka’s left shoulder blade and stuck it in. Under sheer pressure of the action Vicka’s body moved somewhat to the right but she quickly and gracefully regained balance. Not a muscle in her face moved. She continued her conversation with Our Lady, unperturbed. Fr. Bulat has a second go. This time the pressure was perhaps a little less or was delivered from a better angle. To an observer placed in front the impact was less. Her face showed no reaction. When we questioned Fr. Bulat he said that he had noted some muscular movement in the neck, at least during the course of the second prod. But he was placed behind Vicka and too much on the vertical to be able to notice. It would appear that any movement was simply Vicka’s effort to regain her balance after the pressure of the needle. After the apparition, when Vicka got up to leave, a small blood stain, a little over a centimeter in diameter, was seen to mark the spot where the needle had penetrated. A video made by an amateur gives evidence of the stain. Following is a description of those who made up the team. Dr. Henri Joyeux, was team coordinator and Professor of Cancerology in the Faculty of Medicine at Montpellier. He was a hospital surgeon in the Cancer Institute of Montpellier and director of a laboratory which researches nutrition and is involved in experimental cancerology. Dr. Jacques Philippot, former hospital intern, has a diploma in ophthalmology and is consultant to hospitals in Montpellier. He undertook the study of the ocular and visual functions. Dr. Francios Rouquerol, has a diploma in otorhinolaryngology (ear, nose and throat); he is a former head of clinic at the faculty and expert law-court witness and was responsible for the study of the functions of hearing and voice. Dr. Bernard Hoarau, Assistant clinic head in the cardiology department of the University Hospital. He interpreted the recordings of the electro-cardiagram, blood pressure and heart rhythm. Dr. Jean Cadhilhac, has been a member of the Yugoslav Society of Neurophysiology since 1970. He was consultant and interpreter of all the neurophysiological aspects and studied the different video recordings of the ecstasies at Medjugorje. Test or Procedure: The French medical team’s program aimed at studying the visionaries of Medjugorje from both a clinical and para-clinical stand point; para-clinical pertains to abnormalities or pathologies. This study would include before, during and after the apparition. They would be looking for differences in the functioning of the brain, vision, hearing, voice and, in particular, the cardiac functions, such as the heart rate and blood pressure. Dr. Joyeux and his team from Montpellier Hospital in France made the long journey to Medjugorje, with the latest technology, in order to test not only the Medjugorje visionaries, but to look at the ecstatic state as never before. It was an exciting opportunity, but one in which there was a sense of urgency as there was no guarantee that the apparitions would continue from day to day. Here the doctors set up their instruments in the rectory of St. James Church where the visionaries would come for the apparition. “Vicka, Ivan, Marija and Jakov are like any other youngsters of their age. We saw no signs of hallucination, pretence or invention. They were calm, serene and deeply serious and did not play at being celebrities. They remained normal in all the circumstances in which we observed them. They did not collude with each other, either before, during or after the essential event of their day, and they all returned home to their families. Dr. Joyeux gave a short description of all five visionaries still receiving daily apparitions in 1984. “Jakov Colo, aged 13…as impulsive, roguish an wild as any youngster of his age. Ivan Dragicevic, aged 19…a very reserved, almost solitary, young man; he likes sports—some of the team played soccer with him; he answers questions precisely, appears to reflect a good deal and tends towards introspection. He refused very firmly to answer a precise question about his future: it is his private life and nobody else’s business. Ivanka Ivankovic, aged 18, has regular features and the assured walk and deportment of a student closely in touch with her times; she is accessible, sympathetic and open, but does not lack strength of character. The Electro-Encephalogram was administered to Ivan on June 10, to Marija on October 6, and Ivanka, October 7 all in the year 1984, in Medjugorje. The purpose of this test is to trace the rhythms of brain activity with eight diagrams that are attached to eight electrodes that are attached to eight different points on the skull. Wakefulness is illustrated by alpha waves on the diagrams, and the state of sleep or of dream by beta waves. The test lasted about 30 minutes for each of the visionaries, including before, during and after the apparition. Not at any time did Ivan demonstrate the state of sleep or dream. He remained in the alpha rhythm throughout the entire test. Marija patiently suffers through the multiple attachments that will test her brain waves during the apparition. During ecstasy, Marija never left the alpha stage, which is the condition found in a contemplative and calm prayer. If one could have told 20-year-old Marija that 20 years from this moment she would be asked to submit to this same test during her ongoing apparitions of the Virgin Mary, she no doubt would have looked with stunned disbelief, not because of being tested again, but because of Our Lady continuing to appear to her in the apparitions all those years. The Electrocardiogram was administered to Vicka on October 6, and to Ivan and Marija on October 7, 1984. This machine recorded the heartbeat and blood pressure of each of the Medjugorje visionaries before and during the apparition. In each case, the heartbeat remained regular throughout. • With Vicka, her heartbeat increased during the apparition, going from 105 beats a minute before the ecstasy to 135-140 while the apparition was occurring. • With Marija, her heartbeat slowed down slightly, going from 105 beats a minute before the ecstasy to 95 during and back to 110 after. Eye Tests: Intermittent light stimulation eliminated any concern of epilepsy before, during or after the ecstasy. Frequent eye movements were noticeable before and after the apparition, but there was not movement of the eyeball during ecstasy. Four of visionaries had an examination of the inner eye, all came out normal, being identical before and after the apparition. The contraction of the pupil in the presence of light was normal. There were no changes before, during or after the apparition. As with many of the tests, the scientists used different mechanisms to simulate conditions to test the reaction of various senses of the visionaries, such as hearing, sight, and touch. With the eye test, a bright light was flashed in their eyes during ecstasy, but they did not blink or wince or show any other reaction. Also, using an electro-oculogram, all the eyes of the visionaries moved in perfect timing with each other at the beginning and end of ecstasy. Having studied the results of the tests from March, June and October, the doctors decided to continue with new tests, and scheduled to return to Medjugorje December 28-29, 1984. They determined to look more intently at the vision, hearing and larynx function of the visionaries. • At the beginning of the ecstasy eye movements stopped almost simultaneously. • During the recitation of the Rosary before the apparitions began, the needle indicating that the larynx muscles were working moved up and down the scale. • When ecstasy began and the voice became inaudible, the needle stopped and the larynx no longer moved. The lips continued to move, as the visionary spoke to the apparition; but no sound was registered on the equipment. • When the voice returned to normal on the third word of the Our Father, the needle moved again; and ceased when the voice disappeared again. What they concluded was that at the time the visionaries voices disappeared in the apparition, this was connected to the fact that there was no movement taking place of the larynx. Though the lip movement remained normal, the act of breathing out, which normally would cause the vocal cords to vibrate, did not produce this normal result. Hence, no sound came from the visionaries. This was surprising to them to discover, because they hear themselves and each other just as normally whether they are in or out of ecstasy. • There were no signs of individual or collective hallucination—such as is normally encountered in drug addicts, among users of hallucinogens. Earphones were placed on Ivan’s head and a sound of 70 decibels was played in his ears. The sound was loud enough to make him jump. And yet, just a few minutes later, the sound was increased to 90 decibels, which is equivalent to a small explosion, but it elicited no reaction from Ivan. How could that be possible? The first sound sent through the earphones took place just moments before the apparition. The second sound took place while Ivan was in ecstasy. Once the apparition ended, he was asked if he heard the noise. He said he had heard nothing. Seeing that play out had to be pretty impressive to the doctors doing the test. It was just one piece of evidence, out of many that formed the opinion of countless doctors that something supernatural was taking place. Almost on the heels of the testing accomplished by the French team in 1984, an Italian team of doctors arrived in Medjugorje and conducted their own series of tests, September 7-9, 1985. As the French team had been so thorough, there were some tests, such as the electro-encephalogram, that they did not repeat. However, there were several kinds of tests that were missing from the French battery, that they included. Their findings collaborated closely with the conclusions made by the French team. An Italian team of doctors, under the direction of Dr. Frigerio, perform very detailed testing on the visionaries in 1985. Many similar, but also different tests from the French team, were included in their battery of tests. The findings collaborated strongly with the results from Professor Joyeux’s testing. Through studying the behavior of the Medjugorje visionaries, and the advent of modern science, Prof. Margnelli discovered behaviors never before identified with those in an ecstatic state. He was compelled to add a new category in the definition of “ecstasy”. 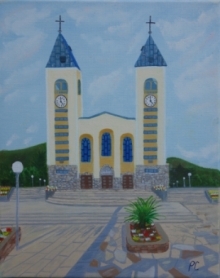 “To Professor Margnelli, the visionaries of Medjugorje had opened up new horizons. Until this time, two extremes of ecstasy had been recognized. In the first of these, the subject showed a complete break with the world, exhibiting pathological symptoms, even sometimes catalepsy and rigidity. At the other extreme was the mystic, remaining partially earthbound while acting as an intermediary between the people present and the apparition. This was the role—one foot in both worlds—that the children had played in the first weeks. Dr. Maetri used this device in order to test the visual and auditory nerve-impulses, tracing the passage of nerve-impulses from eye and ear as far as to the cortex of the brain where transmitted messages are interpreted. Even though the nervous signals to the brain was the same as is normal, the visionaries did not see or hear anything going on around them while in ecstasy. 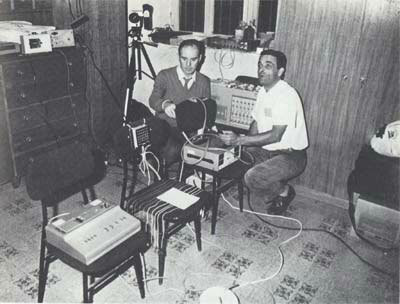 The Use of a Polygraph by Professor Margnelli: The polygraph is a sophisticated type of lie-detector. It is capable of revealing reactions that are normally hidden in anyone who may be lying. Earlier researches have proven that ecstasy causes heightened neuro-vegetative activity. Margnelli used the polygraph to study some of the physiological parameters of the vegetative nervous system of the Medjugorje youth: heartbeats; arterial pressure; electrical resistance of the skin; the flow of blood into the end-join of the fingers; and the rhythm of breathing. He studied Jakov on 7th-8th September, Ivan on 9th September (1985), and his most important findings concerned the heartbeats and the flow of blood to the heart. Jakov’s were abnormally fast: 150 per minute, while the flow of blood to the middle finger of the left hand was one third of the normal rate: “This reduced flow induces pallor of the skin, dryness, lowered temperature…The lack of feeling in Jakov and the other young people is therefore total. The visionaries had undergone more than five years of intensive tests by a multitude of doctors from several countries who traveled to Medjugorje with a variety of different kinds of tests. Although testing would continue throughout the years, these tests by the French and Italian team of doctors in 1984 and 1985 would form the foundation of all other testing. On January 14, 1986, an international French-Italian scientific theological commission released a 12-point summary of the overall findings of the testing up to this point in time. There were 17 highly respected experts, that included scientists, doctors, psychiatrists and theologians, who worked together to make this declaration which was “the most competently and the most expertly” studied examination of the events revolving around the six visionaries. To read the Click here French-Italian Commission’s 12-Point Conclusion-January 14, 1986. Conclusion: The results of the testing determined that the experience of the Medjugorje visionaries during can be compared to the 1985 study, although the intensity has somewhat diminished. The purpose of this newest series of testing was to compare the current results to the findings twenty years ago. Dr. Henri Joyeux was once more called upon to use his expertise and experience to this investigation. His team was not as large as in 1984, but adequate for the responsibility. These test results were sent to the Vatican and Pope Benedict XVI.